All too often, local brands make the mistake of targeting large audiences in the pursuit of bigger and better profits. Not only is this often unreasonable if you are a local brand or business, but you may even miss out on the realistic, local traffic that you could be attracting. In order to get the most out of your efforts, focusing on local SEO is vital to your long-term survival. Local SEO is very similar to traditional SEO, but it does come with a few key differences in terms of what to target. You’ll also find that targeting a local audience is much easier in terms of elements such as keywords than a broader demographic. What items do you need to consider and complete to be ready for local search optimization? Continue reading to find out. As is always needed with any SEO project, your website should be properly optimized. This means that your design is desirable, your content is well-written, your social media integration is superb and your code is clean, among other things. From pinging URLs to search engines to pinging great content to your readers’ eyes, on-site optimization is an important part of local search optimization. By making sure the basics are covered with respect to organizing and building your web presence via search, the remainder of local optimization will be a walk in the park. While there is a bit of a running meme about that suggests nobody uses Google Plus – except the brands that want to be found – there is benefit in being connected to the social media network. Your Google Plus profile will ask some basic questions about your brand, and then feed that information to Google. Because Google will now know that your business is a local business, all relevant local search queries will be more likely to display you in SERPs. As your site builds its repertoire in the community, you absolutely want to obtain reviews from those who use your products and services. In days past, people would publish these reviews directly on their site. While there is still a bit of SEO benefit to having first-person reviews listed here, there is even more by having them listed on sites such as Yelp. This way, your reputation will continue to increase in search, and people who stumble across your brand will be able to find out more. Google has stated in the past that review websites play a big role in how local search results are displayed, so don’t forget about the importance of this element. 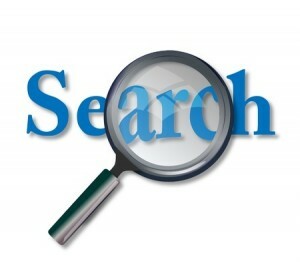 Sites such as Facebook and Twitter can also provide local SEO benefit, particularly in the former case. The reality is that Facebook pages carry a lot of local SEO weight when managed properly; your phone number, address and hours can all be listed via Facebook, which in turn will propagate through local SEO as well. By ensuring that you are pinging URLs to your website through social media hubs like these, your overall SERP presence will continue to increase with time. Ok, cool. I’m gonna try these items for my site now!! Thanks.